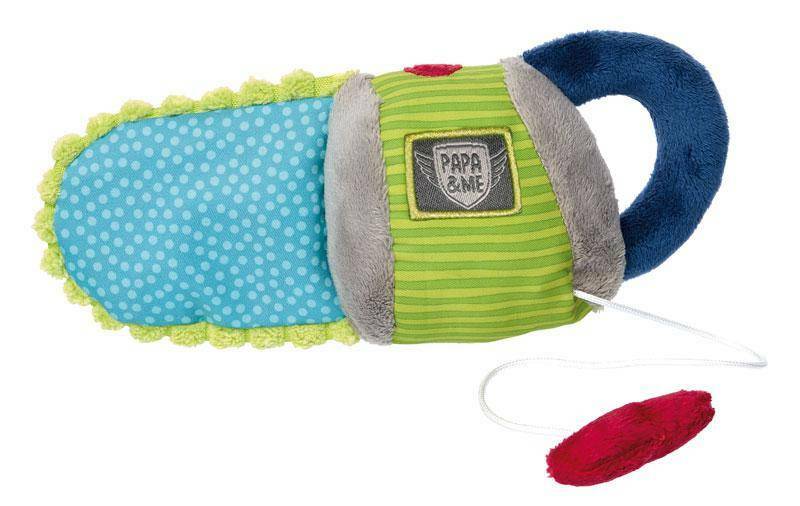 It’s never too early to familiarize your young one with hand tools made of soft plush! Any kid who’s ever seen mommy or daddy take down a couple of branches will delight in having their very own chainsaw with which to (pretend-)dismember the crib. This soft stuffed chainsaw also helps erase barriers between little girls and big-tool skills. 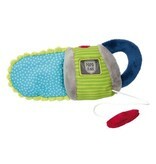 Naturally, the whole thing would only be half as fun without some noise: Pulling the red plush handle sets off a vibrating rattle. Toys from sigikid’s Papa & Me collection are a total hoot, yet involve zero danger of getting injured or swallowing small parts.